﻿ Best Price on Casas del Toro Playa Flamingo in Playa Flamingo + Reviews! Casas del Toro Playa Flamingo is located 0.6 mi from Flamingo beach and 2.5 mi from Conchal beach. It features an extensive garden with children’s playground, swimming pool and free Wi-Fi throughout. The rooms and apartments offer modern décor, air conditioning, ceiling fan, wardrobe, cable TV and views of the garden or the pool. The bathrooms are private and come with free toiletries. The breakfast is included. Guests at Casas del Toro Playa Flamingo can find a variety of restaurants offering seafood and local dishes within 656 feet. Activities such as scuba diving, canopy tours, snorkeling can be arranged. Spanish lessons and tours to Catalina Island are available as well. 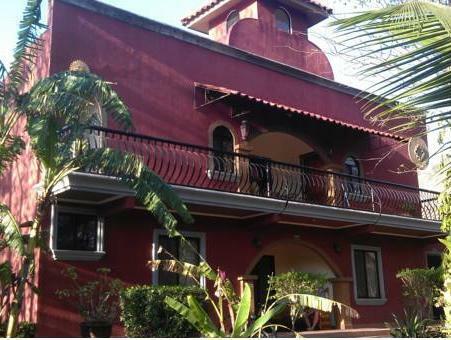 This property is 0.6 mi from the Panamerican Language Center and 25 minutes’ from Tamarindo beach. Daniel Oduber International Airport is 50 minutes’ drive away.